achieve this: running one of the several sharpening filters in Photoshop, or if you have Lightroom, using the Sharpen sliders there. Then there are many other techniques besides for which you can find online-tutorials. About the best and easiest sharpening technique I have come across was published in a recent edition of Photoshop User Magazine. 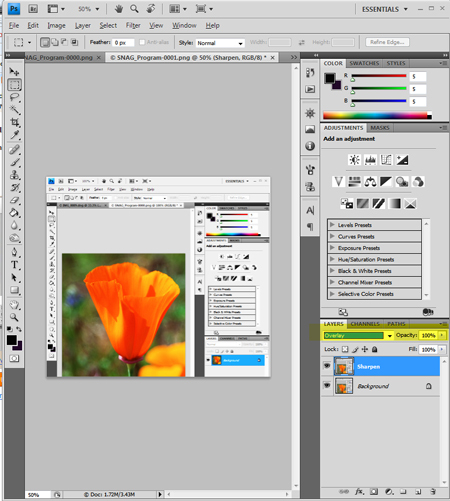 I will demo this effective 3-step method using my version of Photoshop CS4. 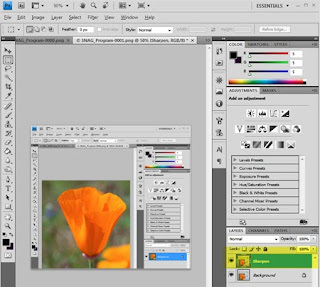 It will work in any version of Photoshop that has layers, and if your version of Photoshop is one that doesn't have layers, then "get with it"; layers were introduced in Photoshop 3 back in 1994. 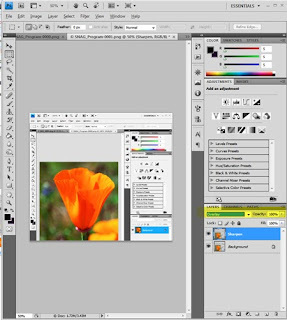 OK, let's get going and open our picture in Photoshop. 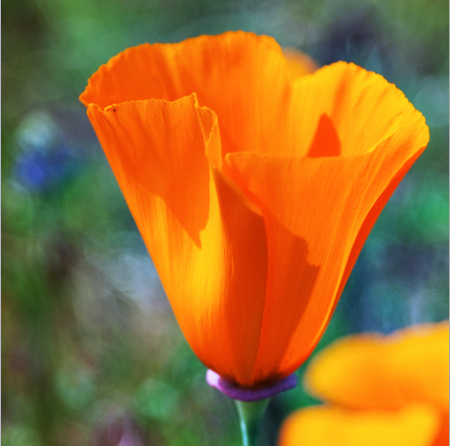 I'm going to demo using this picture of a California poppy that I shot recently. 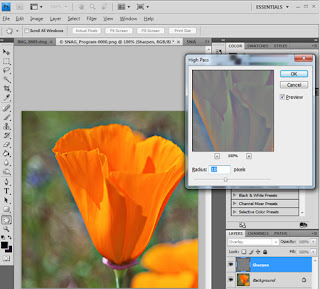 The first step is to create a copy of the image to a new layer. Since there is just one layer in this example I can do that using the keyboard shortcut Ctrl+J. Photoshop names the new layer "Layer 1". You might like to rename the new layer to something like "Sharpen" as I did (highlighted in yellow). Now change the blending mode from "Normal" to "Overlay" as highlighted in the image to the left. The image will become more saturated, but don't worry about that as our next step will take care of that. Our next step is the final one, and the one that will sharpen the image. Simply it is is to run the High Pass filter on the "Sharpen" layer. The navigation for the filter is Filter > Other > High Pass. You will have to apply some judgment as to just how much sharpening to apply. 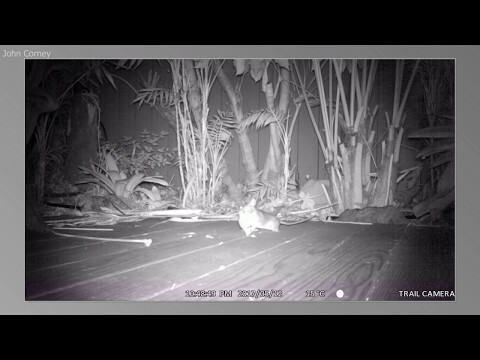 Move the radius slider left and right while keeping an eye on the image itself; not the preview which will be mostly gray. I chose a radius of 10 for this image. And here is the final outcome. While it's not so obvious here as I have "slimmed down" these images and made them small for display on the web, there is considerable sharpening obvious when viewing this on my computer, and you will find the same on your image too. If you have Photoshop CS4 or the newly-released CS5, then before applying the High Pass filter, you can convert the "Sharpen" layer to a Smart Object which will allow you to go back and change the radius setting you apply as many times as you like until you get the image just the way you want it. That's it! One of the most effective sharpening techniques I have seen yet. Happy sharpening!